Dr. Elizabeth Hopkins and Dr. Mary Walker will both be here to explain the program and to register students into the program and/or into a Winter class here in Dearborn. If you are not already enrolled in WSU, bring your unofficial transcripts with you. If you have any questions, please e-mail Maura Sedgeman. It’s official! 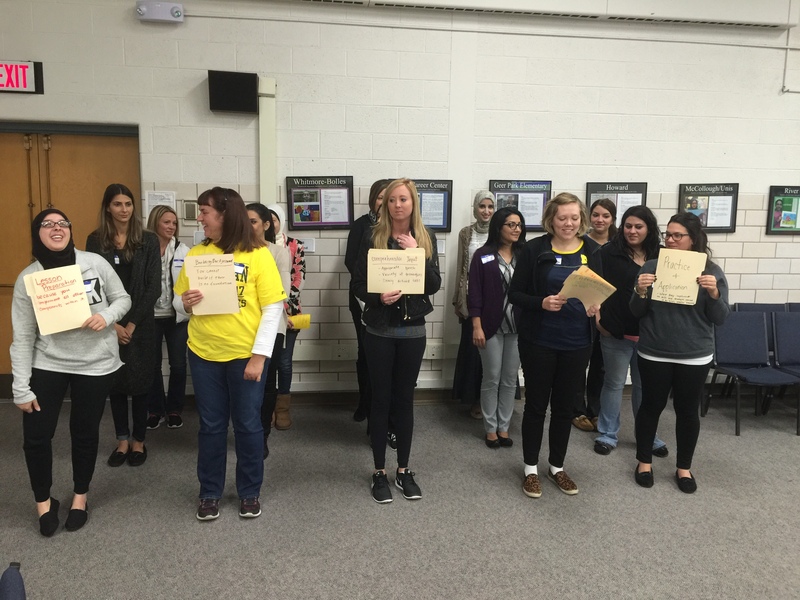 The MDE grant, focusing on teacher preparation, was awarded to the University of Michigan-Dearborn on September 28. This is a partnership with Dearborn Public Schools for 30 K-12 teachers to receive 6 credits towards their ESL Endorsement. The two classes will take place on Saturdays at ASC in the Fall and Winter terms. One class focuses on Second Language Teaching through SIOP and the other class concentrates on the foundationf reading with an emphasis on adapting reading instruction and assessment for English Language Learners. We are very grateful to Associate Professor Martha A. Adler, University of Michigan-Dearborn for seeking this grant for Dearborn Public Schools, and to Jill Chochol, Rose Aldubaily, Maura Sedgeman, Ross Groover and Nadra Lamberti for making this vital opportunity a reality. To register their children in the Dearborn Public Schools, parents complete the home language survey during the enrollment process. If a student has any language other than English in either “Home Language” or “1st Language spoken”, he/she will be considered as potentially eligible for English language acquisition services. The bilingual resource teacher then administers the WIDA-ACCESS Placement Test (W-APT) to assess the student’s academic language development. 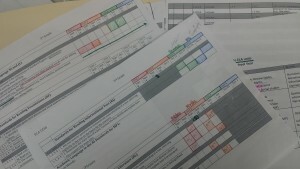 An additional reading (and writing) assessment is administered for more information. 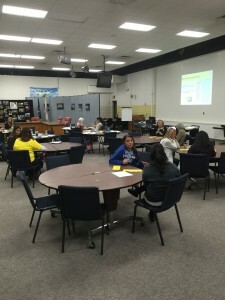 The resource teacher reviews the data to determine eligibility for English language acquisition services. The testing and placement process must be completed within 30 days from the beginning of the school year or within 10 days of enrollment thereafter. Bilingual Resource Teachers have been busy screening potentially eligible English Learners since the start of the school year. So far for 2015-16, over 1,500 English Learners have been screened and enrolled into the EL program based on the entrance criteria set by the Michigan Department of Education. 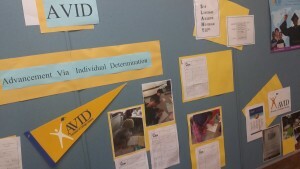 Stout Middle School and Salina Intermediate successfully kicked off the school year with Advancement Via Individual Determination (AVID). AVID’s mission is to close the achievement gap by preparing all students for college readiness and success in a global society. Students learn organizational and study skills, work on critical thinking and asking probing questions, get academic help from peers and college tutors, and participate in enrichment and motivational activities that make college seem attainable. Come check out the bulletin board in the lobby of ASC with student testimonials on how AVID is already impacting their learning. Language and Literacy in Action! 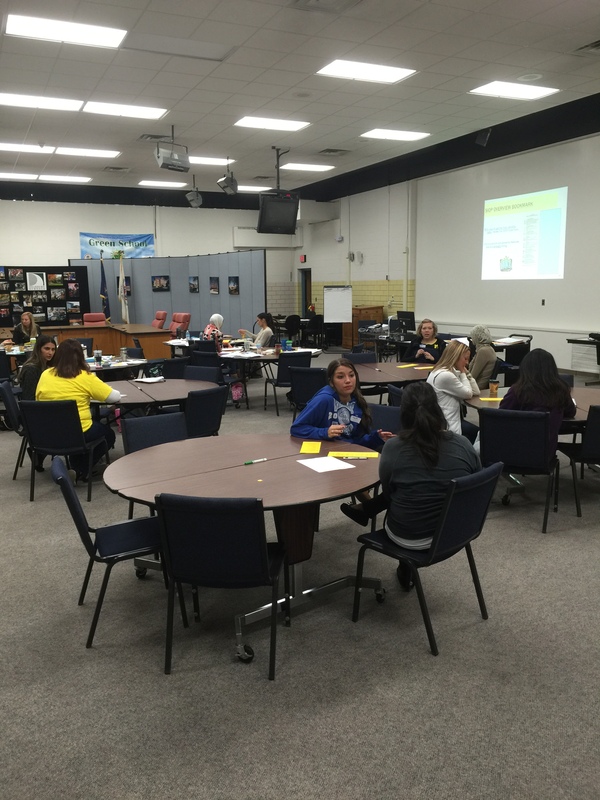 Two of our Language and Literacy schools, Salina Elmentary and Geer Park, worked collaboratively in grade level teams with Amy Markos (National L&L trainer) and Nadra Shami (District L&L trainer) last week to plan for instruction with the standards in mind. From understanding how the ELA and Math CCSS standards are structured to the pacing out of instruction, the staff at both Salina and Geer are taking a standards-based approach to teaching and learning.